Mike was in Chessington to install some of plantation shutters for a client called Amy. She was looking for the ultimate solution for her home office. She was looking for added privacy, yet still highly flexible when it comes to lighting the room, which is hugely important for a working environment. 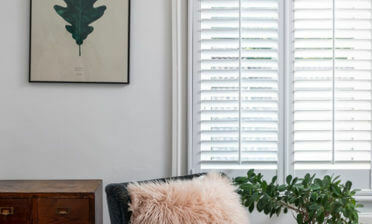 We created the shutters from our Antigua Range of MDF, which allows for a robust shutter installation at a more affordable price. The shutters feature 63mm louvres which create the privacy Amy wanted and combined with centralised tilt rods on each panel make for a traditional and stylish look! The shutters are installed over a large bay window from top to bottom using Tier on Tier shutters, which have a break in the middle. 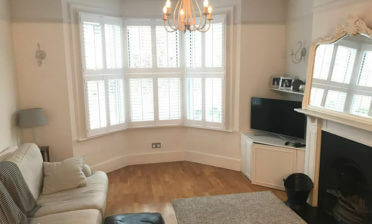 Combining the style of shutters with the bay window creates the most flexible solution possible when it comes to adjusting light into the room. 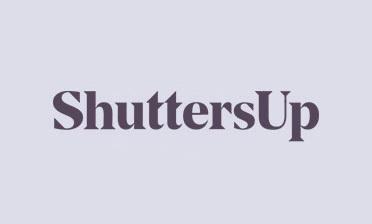 There is no way any of this can be achieved with curtains, which also do not come close to the sleek, smart and neat finish that our shutters convey. 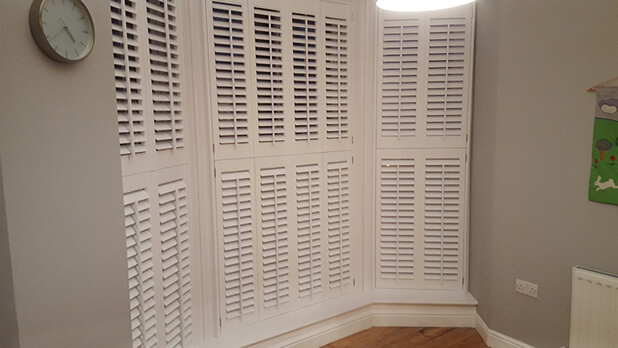 We finished the shutters with some nickel plated hinges and painted the panels in pure white, matching the skirting of the room and popping out from the grey walls as a feature of the room.